Why doesn’t your ATM card work? Not all ATM or Bank Machines are the same on planet Earth. Ok, first you need to check the machine to make sure it takes your card? Look on the back of your card, it probably says Plus or Cirrus. HOWEVER, what the hell, give it a try, maybe it does, and you need to try the machine only one or two times, never three. 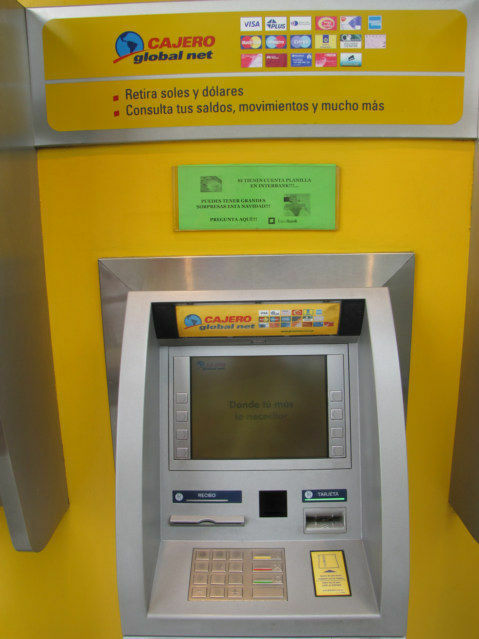 Look for this type of display above or near the ATM machine, if there is no sign like this, maybe the machine is only for local banks, and not international. 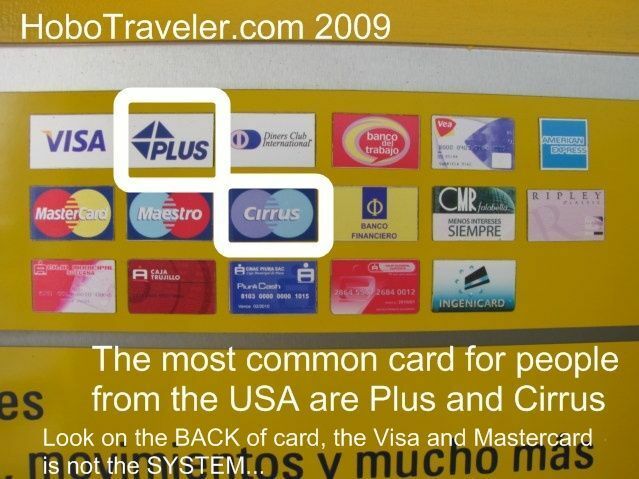 Cirrus and Plus are the common banking systems for the USA. Look on the back of your credit or debit card, just because it says Visa or MasterCard does not mean this is the machine. There are numerous reasons why an ATM or Bank Machine will not give you money. Whatever the reason, please check the back of your card, the look for the corresponding logo for your card. Not all Bank Machines are the same.